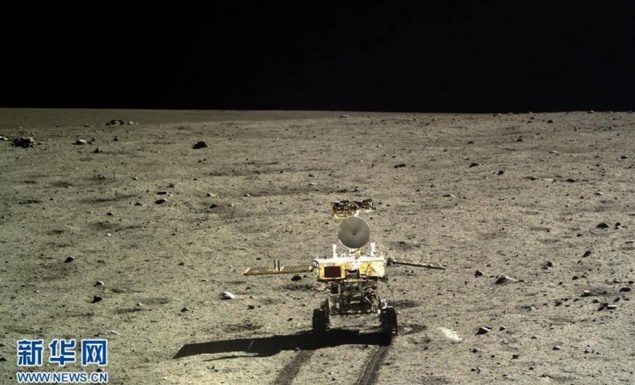 The Yutu or Jade Rover launched by China was assumed to be dead after the rover suffered a severe system crash in 2014. The system crash occurred because of the direct solar radiation that significantly raised their temperatures. Almost a year and a half later, the rover has again started beaming back information to the earth. The samples received, reveals information about the rock formation of moon. The data beamed back, belonged to a time that dates back to 3 billion years ago. The moon, at that time, witnessed a series of small volcanic eruptions and Jade Rover has collected all the data. The probe which was launched on the moon in 2013 landed on the satellite at a comparatively young impact basin which was visible from Earth. The location thus enabled Yutu or Jade Rover to collect those 3 billion years old samples. These samples are much newer compared to those brought back by Apollo missions. The samples collected by Apollo missions are 4 billion years old. The rover collected samples that look like moon’s volcanic bedrock. The rock samples collected are rich in titanium dioxide and the mineral olivine. Researchers have figured out that the mineral composition of the samples collected by Apollo varies hugely from that of the Jade Rover which means that the soil and rock composition of the moon vary within a huge range.